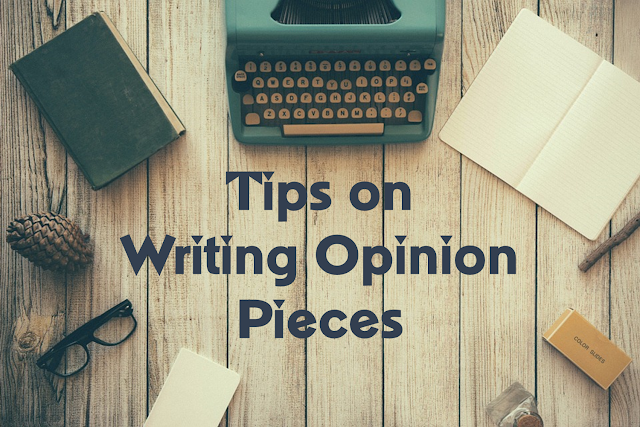 Tips for writers on how to write a good opinion piece and reach more readers! 1. The title should clearly set out what the article is going to be about, but also leave no doubts as to what angle it’s coming from. The reader should know what your opinion is before they start reading. 2. The first paragraph should be a brief and snappy introduction. Expand on the title and provide some background information. You can set out some of your arguments, but make sure it’s easy to read – it needs to invite the reader to continue reading. 3. Don’t be too formal. If you’re writing an opinion piece for a website or blog, it doesn’t need to sound like an essay. Going too chatty may undermine a serious point, but too formal means you won’t be able to connect with your reader and they might get bored. 4. Don’t beat about the bush. Some writers like to think they’re great philosophers and will write in length about a topic, weighing up all sides of an argument before finally revealing their ground-breaking solution in the final paragraph. The problem with this is that most people will have stopped reading by then. Of course you can talk about other points of view (to address them gives more weight to your argument), but make sure the reader knows your opinion from the beginning. 5. About 600 – 800 words for online, fairly brief, opinion pieces will do. Too long and people will stop reading. 6. Don’t over complicate your language. Long-winded sentences with too many adjectives will turn people off reading your article. You don’t need to do this for it to sound like an intelligent piece. Shorter sentences which make your opinions clear work much better.